Although I’ve written previously about Pierre Bourdieu’s social theory, especially in regard to how we view religion in society, my favorite insight from his work is on how language, power and perception of reality are related in our daily lives. Here is a short summary of how language shapes our perception of reality, according to Bourdieu. Institutions compete with one another in an effort to earn the “symbolic power” (authority endowed by the community) to “make things with words” (Bourdieu, “Social Space and Symbolic Power,” 23). That form of competition is “classification,” by which the social and natural world is divided into “antagonistic classes” based on the dualistic “logic of inclusion and exclusion” (Bourdieu, “Genesis and Structure of the Religious Field,” 3). Social classifications (or taxonomies) are a form of linguistic order imposed on the social world by those with the authority granted them by social position (and often backed by state power) within a given field (Bourdieu, “Social Space and Symbolic Power,” 23). Bourdieu calls these individuals and institutions “professionals of discourse,” whose class position allows their public statements “to perform a kind of universalization of what they utter” (Pierre Bourdieu, Pascalian Meditations, translated by Richard Nice (Stanford, CA: Stanford University Press, 2000), 106), while also contributing to a plurality of meanings (“semantic elasticity”) for social objects in practice (Bourdieu, “Social Space and Symbolic Power,” 20). This plurality results from the fact that words can often have different meanings in different social spaces, despite any given authority’s effort to consecrate a linguistic order as “natural” and, therefore, universal. For example, it benefits institutions within the religious, cultural or political fields to perpetuate the classification of “religious”/”secular” as clearly delineated spheres of social behavior, but for completely different benefits. A religious authority may use “secular” to denigrate a competitor as profane, while the political authority may discuss reasons to protect “secular” government from religious influence and the academic may dismiss the “non-secular” opponent as irrational and worthless. In this way, linguistic classifications serve various goals for the “professionals of discourse,” specific to the social space in which they are utilized. Ultimately, disputes over meaning in these competitive fields can be settled by the meta-field of the “bureaucratic state, recast as the ‘central bank of symbolic power'” (Bourdieu and Wacquant, An Invitation to Reflexive Sociology, 275). The state (lawmakers, law enforcement, schools, media, etc., as arbitrators of the state) provides legal consecration of a social reality, universalizing an arbitrary social structure as “absolute,” denying its inherent relativity in social space and time (Bourdieu, “Social Space and Symbolic Power,” 22). Institutions within the various fields, as authorities of the state order, may propagate this “official point of view” as “natural”, contributing to its efficacy as a socially constructed reality. It is for this reason that Bourdieu argued that the modern state has become the “geometral locus of all perspectives,” replacing religion as the site of “consecration,” (Rey, Bourdieu on Religion, 7) whereby the arbitrary social structure is legitimated for the dominated classes as natural and universal (Bourdieu, “Social Space and Symbolic Power,” 22). The illusion of unified meaning is maintained despite the competition produced by radically different experiences (Bourdieu, “Genesis and Structure of the Religious Field,” 19-20) depending on the extent to which a social location’s “collective bad faith” (reinforced by local representatives of the state) is maintained in order to support an individual’s “bad faith” to ignore the contradictions in social behavior (Bourdieu, “Genesis and Structure of the Religious Field,” 21). In other words, an individual has little recourse but to accept the social reality constructed by the language utilized within her social field (especially as reinforced by authority) if all other individuals within the field support that reality, however false. Social fields structure the individual unconscious to accept that social reality as “natural”. As a result, individual “bad faith” is simply an unconscious process of social indoctrination, the inculcation of a socially constructed reality. Because of misrecognition, the social origins of the strife are masked and cannot be articulated except by a figure of authority, as a form of classification (which, by its very nature, only reflects the socially constructed reality). Societies have long constituted communities and subcommunities of varying perspectives, but some form of institutional authority generally shapes a form of “universal truth” by which some members of society are ostracized for being different. This is done with language, which shapes perception. For instance, it is still common for the dominant religion in a social space to categorize the opposing theology as “magic” or “sorcery,” (therefore, inferior and profane), according to its own definition of terms (Bourdieu, “Genesis and Structure of the Religious Field,” 12). False condemnation of an opposing theology, an example of what Bourdieu calls “subversive symbolic actions,” succeeds “only to the extent that–acting as symbolic triggers capable of legitimating and ratifying senses of unease and diffused discontents, socially instituted desires that are more or less confused, by making them explicit and public–they manage to reactivate dispositions which previous processes of inculcation have deposited in people’s bodies” (Bourdieu, Pascalian Meditations, 130) When personal strife (caused by the conflict of internalized social structures) becomes social strife (as during an economic crisis when families become financially vulnerable and seek a scapegoat to blame), previously deposited antagonistic categories of social ordering can become activated, triggered by an authoritative agent. The “witch hunt” targets a manufactured category of opposition, whether the “witch” is a member of an inferior religion or a fictional puppet master operating behind the scenes of powerful institutions. Generally, this is a “straw man”, a fictionalized villain. Bourdieu, Pierre. “Genesis and Structure of the Religious Field.” Comparative Social Research. 13 (1991): 1-44. __________________. Pascalian Meditations. Translated by Richard Nice. Stanford, CA: Stanford University Press, 2000. __________________. “Social Space and Symbolic Power.” Sociological Theory. 7, no. 1 (Spring 1989): 14-25. _________________. “The Forms of Capital.” In Handbook of Theory and Research for the Sociology of Education, edited by John G. Richardson, 241-260. New York: Greenwood Press, 1986. 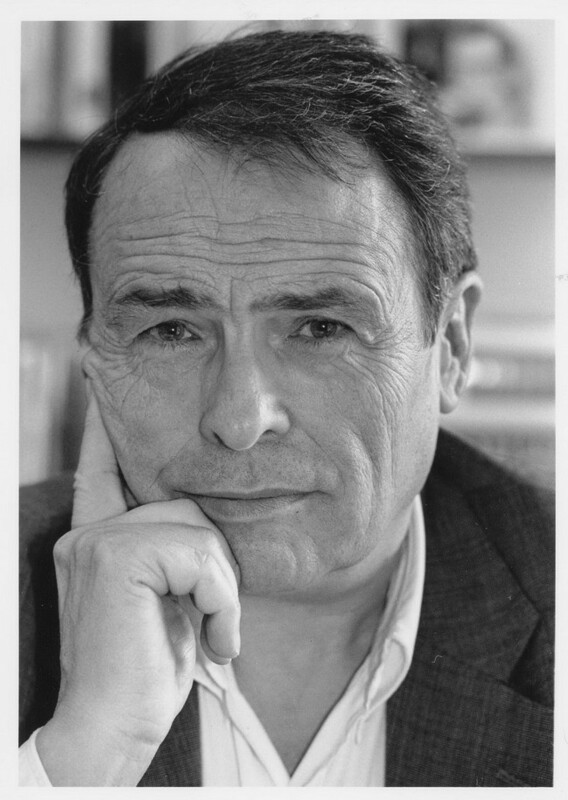 Bourdieu, Pierre and Loïc J.D. Wacquant. An Invitation to Reflexive Sociology. Chicago: The University of Chicago Press, 1992. Bourdieu, Pierre and Terry Eagleton. “Doxa and Common Life.” New Left Review. 191, no. 1 (1992): 111-121. Rey, Terry. Bourdieu on Religion: Imposing Faith and Legitimacy. Durham, UK: Acumen Publishing Limited, 2007.